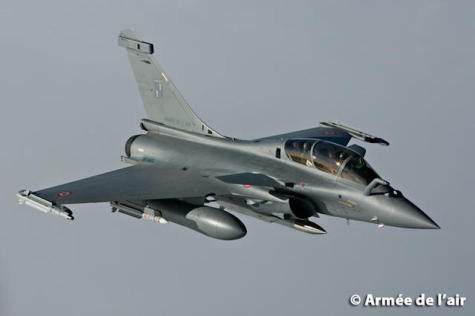 French Armed Forces Minister Florence Parly has expressed satisfaction after the latest successful operational trial of the capabilities of the Rafale B / ASMP-A missile combination during an operational exercise rehearsing a nuclear strike mission. She warmly congratulated all the airmen of the Strategic Air Forces (FAS), the personnel of the Directorate General of Armament (DGA) and the companies that have worked for its success. On Monday, February 4, 2019, a crew from the 2/4 "La Fayette" fighter squadron took off from Air Base 113 at Saint-Dizier for a mission that lasted over 11 hours, comprising all the phases of a nuclear deterrence mission: high-altitude flight; successive refuelings by C135 and A330 Phénix tanker aircraft operated by the 31st Air Refueling and Strategic Transport Squadron; low-altitude penetration of highly defended areas (by both surface-to-air and air-to-air defenses); terrain-following and precision firing of an ASMP-A missile without a nuclear charge, on a test area of the DGA missile testing center at Biscarrosse, in the Landes district of SW France. Established for a long time, and carried out at regular intervals, these force evaluation launches demonstrate the long-term reliability of the airborne weapons system. This latest success reinforces the technical and operational credibility of the nuclear deterrence that the airborne component has continuously maintained through the Air Force since 1964.